Chanel Gabrielle is full of sun, joy of life, very frank, some disarming femininity. Chanel Gabrielle 100ml. EDP belongs to the flower group of aromas, and it included sandalwood, musk, mandarin and black currant, and notes of the heart were tuberose, ylang-ylang, jasmine and orange color. The smell was very airy, attractive, sunny and very feminine, like Koko herself. Oliver Polje shared that to create the fragrance he selected ingredients that Gabrielle might like, and which conveyed her character best. In 2017 Fashion House CHANEL presents to you a new graceful and expensive fragrance for its widest audience. Gabrielle Chanel is a new creation, it is a sign of attention and reverence to the great master and founder of the leading Fashion House, without which there is not a single called evening or solemn event in the world of Dolce Vita. The leading perfumer of the House Olivier Polge Presented you a new perfume composition Gabrielle Chanel, this floral fragrance, luxurious and unruly, spectacular and independent. We can say that the exclusive line of aromas Chanel has combined with flavors for a wider audience. The author did not overload the formula of the new fragrance, but gave the composition more "life" and naturalness, but the train, despite everything, intrigues and gives the flavor a gourmet hue, and even brings back to the world of classical compositions from the early Chanel collection. 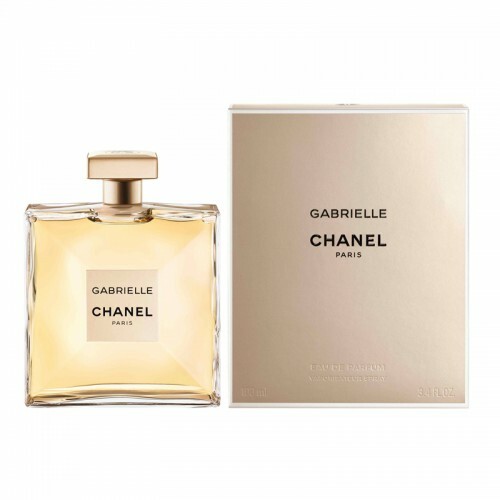 The aroma of Gabrielle Chanel is revealed by the freshness of mandarin and grapefruit, and the black currant smoothies with tenderness the dynamic shades of citrus (mandarin, grapefruit, black currant). "Heart" of the fragrance acquires a more sweet shade, spectacular tuberose, mystical shades of ylang-ylang and an amazing shade of orange tree (tuberose, ylang-ylang, orange tree). The trail of aroma is colored with gourmet sandal colors, and musk is captivated and responsible for the exciting moment and temptation (sandalwood, musk).